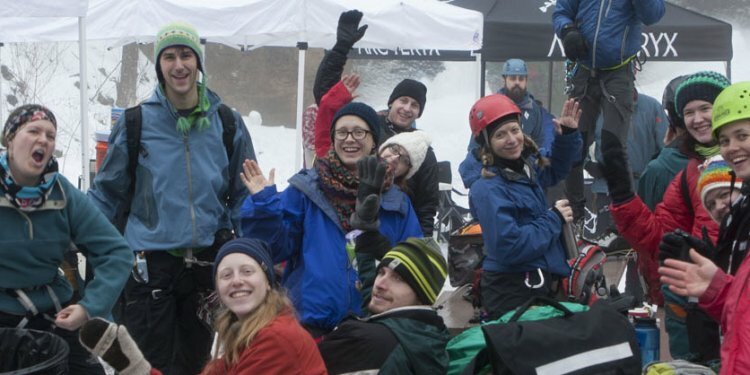 When Dave Everson read an ice climbing article a while back that described this winter activity as "a masochistic pastime for oddballs, " the suburban Chicago resident knew he'd have to give the sport a try. "I like it because it is incredibly challenging, " said the 52-year-old Everson. "... From that first class, I fell in love with it because it was so cool being out there on the ice. Now I climb a lot with Joel Taylor, who runs Vertical Adventure Guides." "It just appeared to be so wrong to even try to go up a slippery surface like that, " he said. "And before you get the technique down, it feels like it strains every muscle in your anatomy. But I was determined to learn, in part because the people who are good at it made it look graceful. Not necessarily easy, but they could go right up those frozen waterfalls. It's all about saving energy, not having that death grip on your ice axe, staying balanced and using your legs more than your upper body." "I've seen him work with teenage girls so they get it, " Everson said. "He's a super patient person who's willing to take the time to instruct people who want to take a stab at the sport. And it's not always about getting to the top, especially in the beginning. It's about being out there in the winter and gaining confidence." "I love just being out there and looking at the formations on the ice, " he said. "And watching it change from day to day is fascinating, too. It still amazes me how you can climb it without falling off."